I can’t believe it is all over, that went so quickly. It was great to hear some of you say how the Counties is one of your favourite competitions. Your team spirit was lovely and your team chant superbly LOUD!!! So our final weekend at the Sussex County ASA Championships & Age Group Competition saw Kitty Hogg, Marissa Netherwood, Becky Smith, Ella Thornburg, Ella Napier, Matty Smith, Tom Hogg, William Le Merle, Ollie Iden, Madi Walker, Abby Smith, Emily Pryke, Jessie Brown, Jess Frayne, Ella Porter, Will Redwood and Caleb Grace competing. 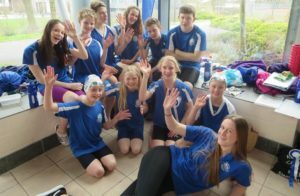 Special mention must go to Abby Smith, Jessie Brown and Ella Porter who each were seen helping swimmers from other clubs after their race. Ella spent quite some time reassuring one young lady who was very distressed after her race. I also saw loads of support and encouragement by all of the swimmers for each other – brilliant! 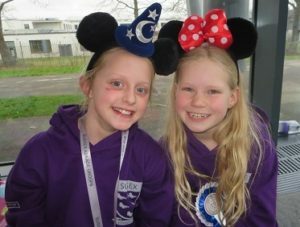 Loved the Disney ears too, which saw Tina & Helen tweeted by Sussex County. I lost count of how many people wore them! Some more exciting highlights from this weekend were…..
We had swimmers in 8 finals: Jessie Brown, Jess Frayne, Tom Hogg (2), Will Le Merle, Ella Napier (2) and Ella Thornburg. Jessie Brown (17) won Gold with a superb swim in the 100m butterfly in a time of 1:08.57, earning a place in the Open Championship Final where she won Bronze! Jessie won the 400m freestyle and came 3rd in the 400m IM, both with new club record times. Jessie also won Silver in the 200m freestyle and Bronze in the 50m butterfly events. Ella Thornburg (11) was on fire with her butterfly too winning bronze in the 50m fly and silver in the 100m fly in an excellent time of 1:24.11. 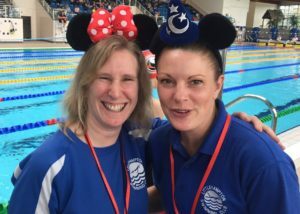 More butterfly success came from Jess Frayne who made the 50m butterfly Open Championship Final, finishing 4th in her age group, 6th in the open final, achieving her base regional qualifying time. Kitty Hogg (10) added to her medal collection with Bronze in both the 50m butterfly and the 200m freestyle, her first club record! 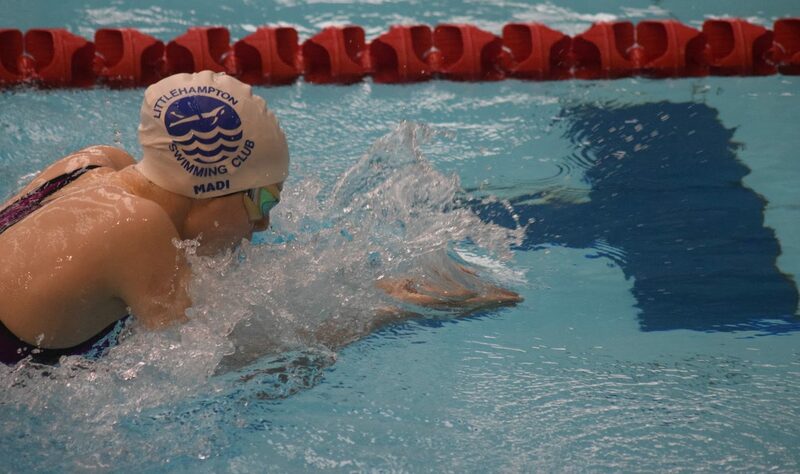 Tom Hogg (14) swam 3 automatic regional qualifying times in his 50m breaststroke, 100m breaststroke and 200m IM. His 100m freestyle was a base time. Tom won Silver in both the 200m backstroke and 200m IM; a very exciting 100m breaststroke final saw Tom finishing 4th, missing out on bronze by a fingernail despite being over 1½ seconds faster than in his heat! Ollie Iden (14) swam a base regional qualifying time in his 200m IM, winning Bronze. Ella Napier (11) won Bronze in the 200m breaststroke, equalling the club record. Madi Walker (15) won Bronze in both the 400m IM and 400m freestyle. Tom will receive a county plate for his 3rd place – a very tough age group with just 7 points between Tom and 2nd place! We are awaiting the final team points scores to see how we fared overall. In all, out of 163 races swum there were 127 PBs, which is a huge 78% of swims. Congratulations to all of our swimmers, you were all superb as usual! Thank you to all our many lovely helpers both with the team and in county help roles.